It is no secret that a common European approach must be secured in countries that are currently handling (or are failing to handle) the refugee crisis – among them Austria. Since many regions in Central Europe (Slovakia, Czech Republic, Croatia, Slovenia and Hungary) have responded with indecent behaviour to the influx of migrants, the EU is at a risk of plunging into an even greater mess. For the time being, the question “what is going to happen next?” remains unanswered. What is certain for most migrants hosted by Austrians is that the route from Vienna to Munich is a long-term goal but a short-term solution. Questions regarding whom to blame for the crisis are unhelpful, and thus more urgency must be redirected towards implementing a common policy across Europe. What I would like to focus on is not on what is at present unknown or the political disputes between right wing and left wing politics. Instead, I would like to draw attention to what is currently being done by national citizens and NGOs to help alleviate tensions at a local level whilst waiting for the long-term go-ahead plan from the EU. Vienna’s two main train stations: Hauptbahnhof and Westbahnhof, provide an insight into how refugees are being accommodated in the meantime. If Vienna’s strategy proves to be successful then it could be a useful model for other countries to follow. 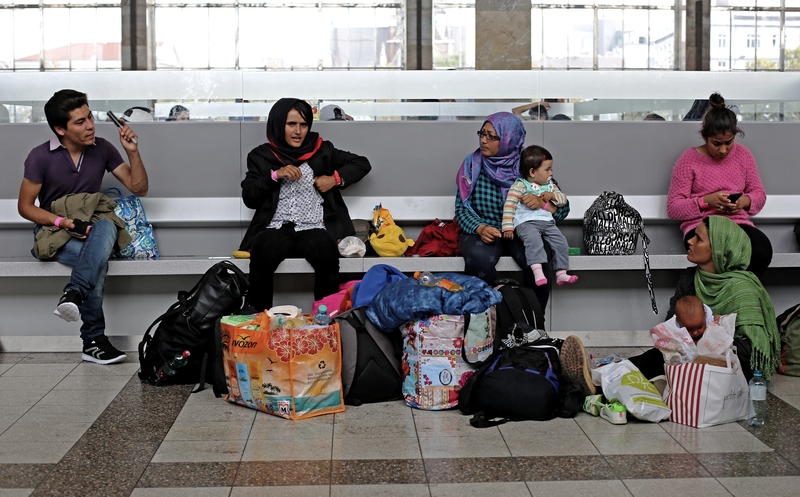 By the end of 2015 it is expected that Austria will receive between 50,000 and 70,000 asylum requests. This figure is estimated by Caritas, an international confederation of Catholic organisations working in relief, development and social services and a strong presence at the scene, offering aid to the thousands of refugees arriving at Westbahnhof each day. 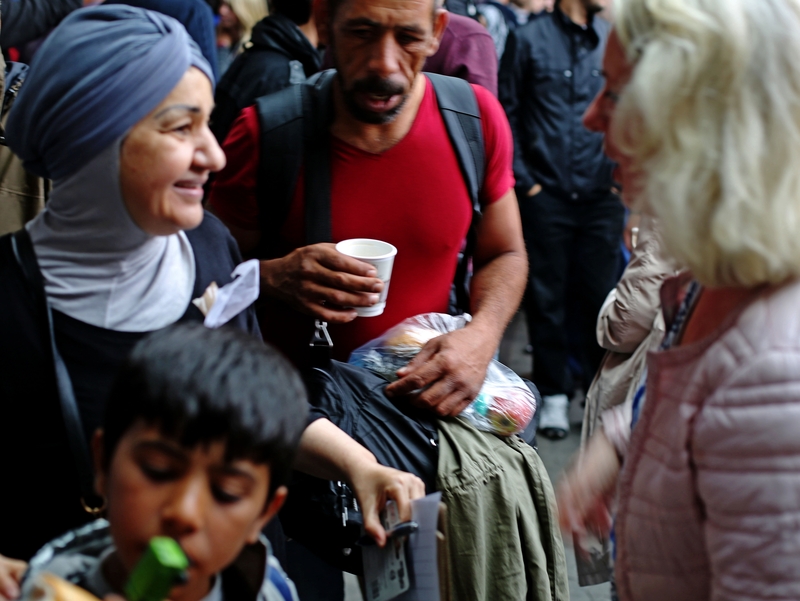 So far it has established 1,000 “Notquartiersplaetze”, which translates to “emergency accommodation places”. Volunteers are always asked for, particularly to do morning, afternoon and evening shifts. What and who is needed is advertised on the Facebook page where Caritas also posts lists of items welcome on a daily or even hourly basis. 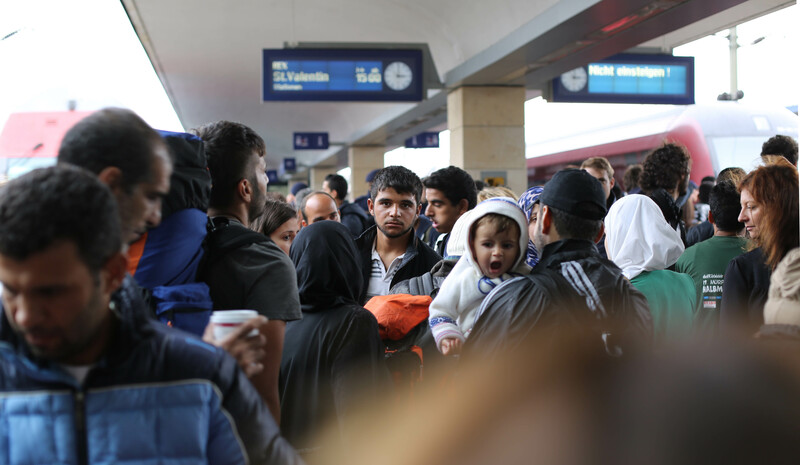 When I arrived at Hauptbahnhof I was shocked by queues of refugees waiting in line for train tickets – the queue was about four hours long. Trains to Germany were cancelled on that day, and no one could tell when they would run. Nevertheless, people were standing patiently, hoping to make it to Germany, somehow. I remembered that Train of Hope had asked for “vitamin foods” that day, so I made my way over to the supermarket and gathered kilos of bananas, green peppers and cucumbers before heading to platform 12. When I got to the end of platform 12 I glimpsed hundreds of refugees crowded together downstairs – some were resting on floors smeared with food, left un-mopped, while others slept against a wall. Children played with toys and drew on long sheets of paper laid out for them across the floor on the far left. To my surprise there was plenty of food and bottled water available. I made my way through the clutter of people towards a tent outside accepting donations. I later signed up for a shift. The list of people wanting to help was already long. The team leader gave me a nametag and assigned me to the task of reporting on the number of refugees waiting in halls one and two, at 30-minute intervals. It was a difficult task as hall two was so packed that I could barely make my way through it, let alone count people. I felt that I was met with an ambivalent hostility, and understandably so, as I was pacing around with my pen and notepad ready to count each individual. It felt like I was invading people’s space. My estimate was 700 for the second hall, and the security upstairs had confirmed a rough figure of another 400 in the main hall. The numbers did not decrease during the day. I later joined the tent outside making tuna and hummus sandwiches. We were expected to make 2000 sandwiches for the Austro-Hungarian border. It was going to be the only meal for migrants waiting there, so a lady told me to be extra generous with the tuna and other ingredients. I spoke to a member in charge of social media who explained to me that Train of Hope wanted to expand due to the rising external demand. Train of Hope now organises assistance beyond Hauptbahnhof. For instance, the sandwiches that we made on that September day were delivered thanks to individuals volunteering to drive up to the border. These individuals are identified through Facebook and many of them will send messages out of their own initiatives. Those with cars are then added to a list, which helps Train of Hope to identity the right persons when necessary. Things were running fairly smoothly that day, or as smoothly as was possible. Team leaders assigned tasks to those wanting to help, and aside from a few unproductive people, most were taking their roles seriously. Nevertheless, despite what then seemed to be an infinite supply of food, drink and clothes, the biggest challenge that organisations like Train of Hope face is to maintain the same level of enthusiasm in the times ahead. Although it is promising to see that so many people are willing to volunteer, that local and national businesses are donating basic supplies like water, bread and other products, the greatest worry is that the hype will eventually die down – and most likely so. Millions of refugees are still waiting to make their way to Europe, and they need to be accommodated as well. It is therefore imperative for governmental institutions to give priority and support to organisations like Train of Hope in order to keep them going in the winter months. Maria Scherbov is reading English at Warwick and lives in Vienna. She spent an Erasmus year studying in Berlin.